Promoting agency in the Early Years is sometimes less challenging. Exploration of the Units of inquiry are directed by the Transdisciplinary theme, the Central idea, Lines of inquiry, Concepts, Approaches to learning and the Learner profile. These are mainly addressed and guided through purposeful play, which in turn is led by the children’s choices and interests. Reflecting on our last Unit of Inquiry on Materials (How the world works), the children of PS1 guided the teachers to support student agency in the classroom and give them ownership through their choice to create their own learning experiences. Our lesson plans often had to be switched and made flexible with the purpose of making it relevant to the children’s interests and wishes which sometimes made our classroom look chaotic but it was worth it. In order to explore the concept of ‘change’, we had planned a number of cooking experiments. We listened and observed during play and discovered that our children enjoy pretend cooking and serving, as they do in restaurants and this led to the ‘Anything restaurant’ being set up in the classroom. The children decided on the name of the restaurant collaboratively and voting by a count of hands. They chose the name ‘Anything’ as they would be selling “flowers and many more things”. After which they made a list of things that they would need in their restaurant; the adults scribed for them. The teachers’ job was to make available the resources and the children set up their restaurant while the adults physically helped put the furniture in the places and at the positions they wanted. Posters and menu cards were created and the cash register was set up with some coins. Even though the restaurant remained closed for customers most of the time and was only open at “25:00hrs”! it was a great learning experience for them. The non-English speaking children learned the names of the food, fruit and vegetables. They explored the materials that the pots and pans, jars and toy food was made out of and in one case found out that glass jars are breakable which led them to handle glass with care thereafter. Coins were counted to give the customers to pay for their food and the children learned to take turns being the chef, waiting on tables and acting as the customers (mostly the adults). Besides the restaurant, the children were given opportunities to take ownership while making puppets out of socks and upcycling old t-shirts and clothes into cushions. 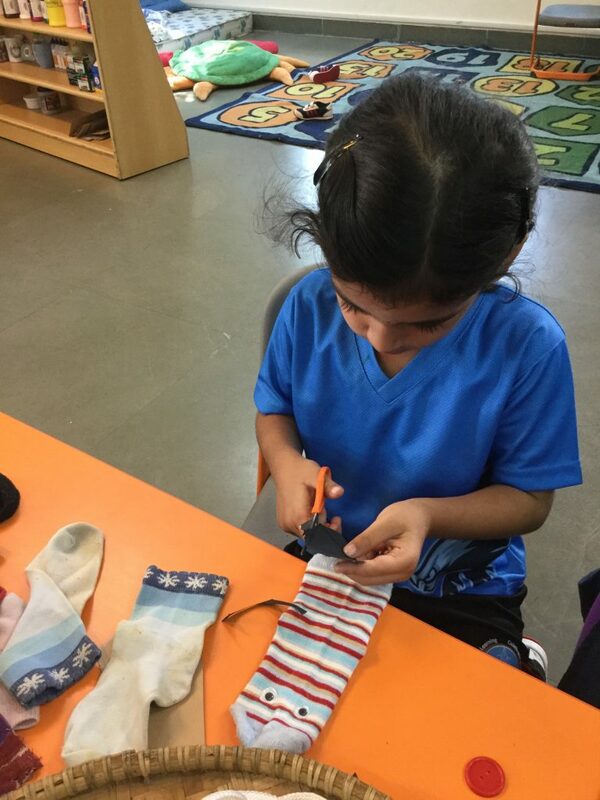 They were encouraged to choose the materials they wanted to use, designs and the shapes they wanted and sewed them using the machine with the teacher’s help. The trip to Broome’s farm was another example where the children turned the field trip to explore natural materials into a picnic that they had been wanting to have. 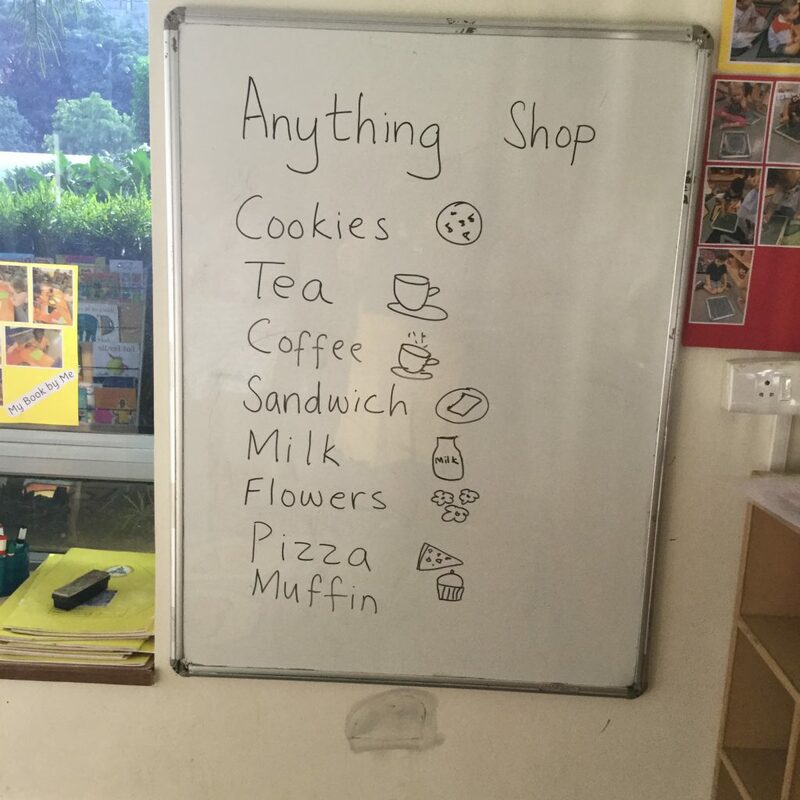 After talking to them about the trip and understanding that they wanted a picnic, we asked the children to make a list of the things they wanted for the trip. After the list was made, we sorted the things that we needed to prepare, such as food and spent a day prior to the trip cooking cookies and popping corn. By following their ideas, the children felt listened to and their choices acknowledged which made them confident learners. 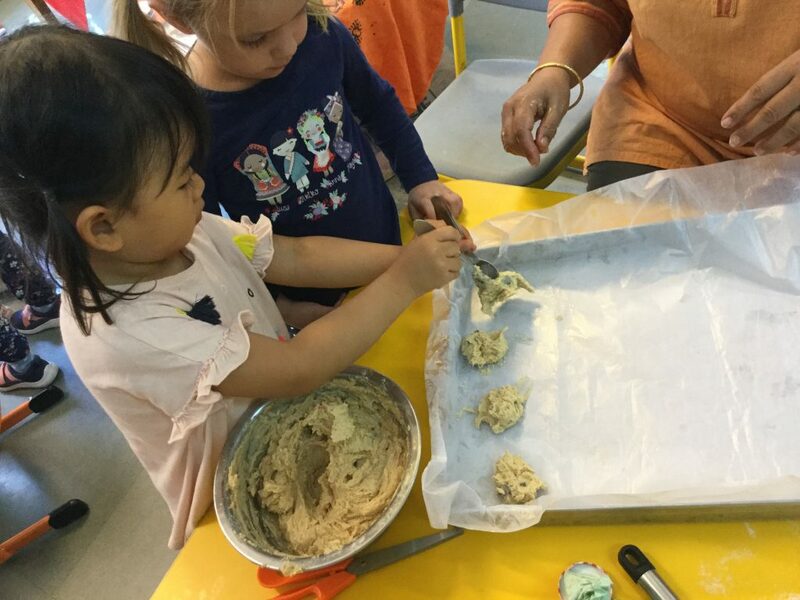 We, in the PS classes believe that providing the children opportunities for agency through play has empowered our youngest learners to take ownership of their own learning and be responsible for their own goals.